Der Artikel Ludwig van Beethoven (1770-1827): Sämtliche Klavierwerke Vol.5 wurde in den Warenkorb gelegt. 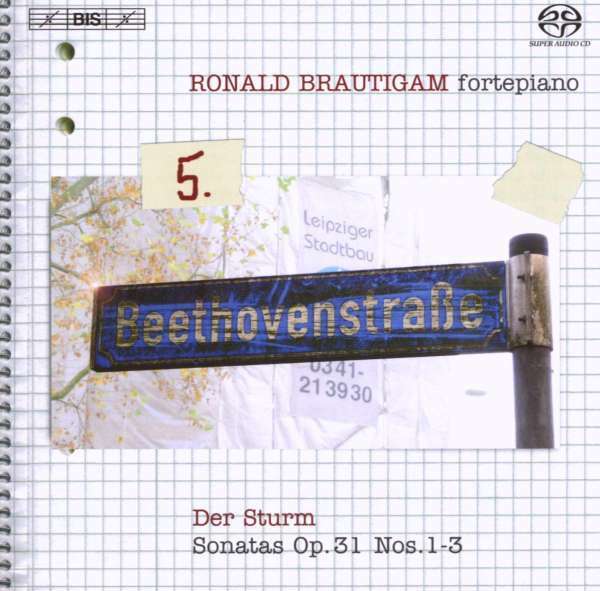 Few series have met with such unanimous acclaim as that of Ronald Brautigam's Beethoven cycle. The very first volume was greeted as a milestone, and after three more, equally praised instalments most critics agree that this is certainly the foremost cycle recorded on the fortepiano. Indeed many critics maintain that it contains some of the most exciting Beethoven interpretations on any keyboard instrument, historic or modern. Reacting to the first volume, the reviewer in Fanfare expressed hopes of a cycle ‘that challenges the very notion of playing this music on modern instruments, a stylistic paradigm shift’, while German website klassik. 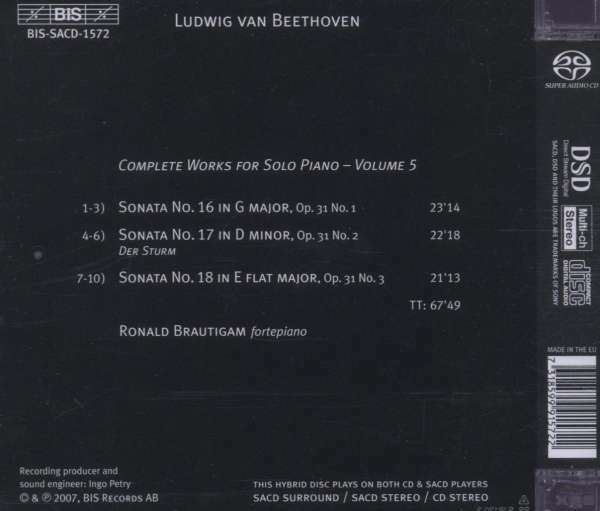 com called Brautigam’s performances on Volume 4 (which includes the Moonlight Sonata, Op. 27 No. 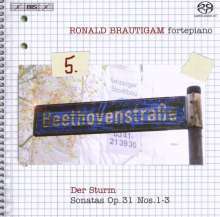 2) ‘another milestone in his discography and in the history of Beethoven interpretation’. With the present disc we are nearing the end of Beethoven’s so-called Early Period. The three sonatas of Op. 31 were composed in the village of Heiligenstadt outside Vienna during the summer of 1802. This was one of the most difficult periods of the composer’s life, as he was having to resign himself to the increasing deafness that had been plaguing him for some years. He spent a summer of emotional turmoil, as testified by the famous Heiligenstadt testament, a never-to-be-sent letter to his brothers in which he confesses to thoughts of suicide. In the end, Beethoven decided to live, explaining his reasons in the following manner: ‘It was only my art that held me back. Ah, it seemed to me impossible to leave the world until I had brought forth all that I felt was within me.’ Given the circumstances the Op. 31 sonatas show surprisingly little of the strong emotions that their maker was experiencing, but in terms of how Beethoven in them forges new roads for the sonata form, bringing it into a new century and indeed a new era, they are ample proof of that which Beethoven must have felt within himself!